It’s one thing to say you’re savvy when it comes to Social Media, but it’s another to really put the ‘social’ in your content. You want your product to be the talk of the town, your viral videos to be the point of discussion, your brand to be the name on everybody’s lips. At Rocket, we understand that Social Media is an intricate combination of captivating copy, impactful imagery and vibrant video. 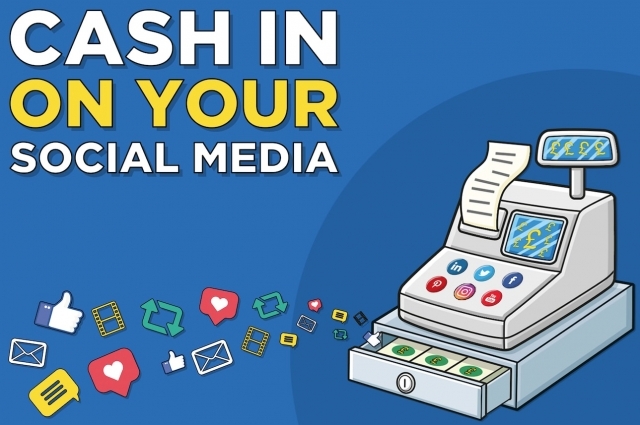 To really have the cash register endlessly pinging, take our easy steps to escalate your social media to new heights. 1. On average, visual content performs 4 times better than pure text. In an ever-running stream of content, your first step is to use an eye-catching image which will be key for impressions, engagement and conversions. You might have the most ground-breaking service, a must-have product, or the most newsworthy deal. But if there’s no image to accompany your content, is it truly going to capture your audience’s attention as they aimlessly scroll through their feeds? 2. Did you know, 65% of audiences are more likely to remember information complemented by relevant visual content? To have a visual is just the starting point. Your second step is deciding how best to portray your message whether it’s high quality photography, colourful imagery, striking illustration or bold typography. Utilise your renowned logo and brand colours, helping to grow your social presence. 3. Those businesses that employ videos within their social media content calendars receive 25% more clicks than those who don’t, as well as even better conversion rates. Thirdly, to become a content marketing leader, video is not only essential, but it essentially gives life to your messages through animation, sound, filming and more! If video content is forecasted to be 80% of global web traffic by 2019, it’s time to climb aboard before everyone else gets the memo. 4. Today, around 2/3 of audiences prefer videos shorter than a minute. Marketers often use video to add extra detail and colour to their messages, and whilst there’s a tendency to provide excessive detail, our attention span is actually quite short. All things considered, there’s no harm in creating a clear, succinct message? 5. A post with a call-to-action will likely see 80% more engagement. Ultimately, with any content, the goal is to encourage engagement, whether it’s hundreds of likes, thousands of shares or millions of views. So if you’re looking for action, engagement, clicks and of course ROI, contact Rocket here. We’ll make your social media, the conversation of today.